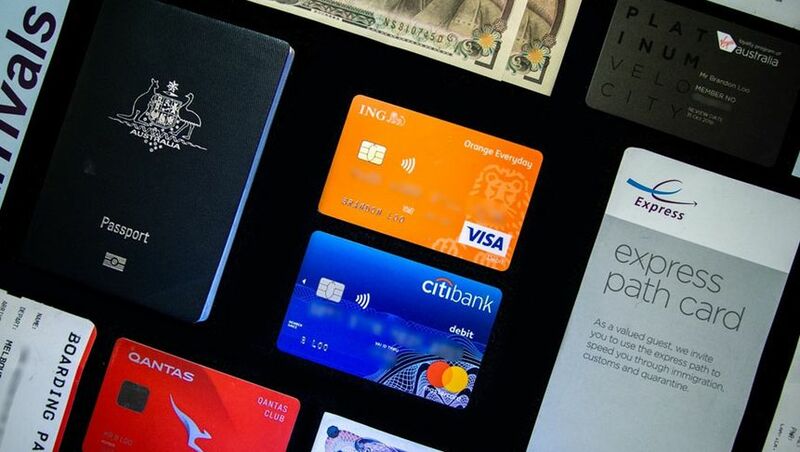 A growing number of Australian debit cards offer savvy travellers various ways to save on international transaction fees, and in some cases, even provide rebates on ATM fees imposed by the machines' operators. With no monthly account keeping fees and easy online banking tools to manage your cash wherever you may be, these debit cards can be handy tools to keep in your arsenal. This branchless bank offers what may be the most competitive debit card offering, albeit with some work involved every month. Potentially, free ATM withdrawals in Australia and around the world, with a waiver of ING's $2.50 international ATM withdrawal fee and rebates on fees charged by ATM operators both in Australia and overseas. The 2.5% charge for international transactions can be waived as well. In my experience, international transactions are settled on the Visa exchange rate (very close to the ‘Google rate’), without additional commissions or fees, when meeting the monthly cash criteria below. You need to deposit at least $1,000 per month into any personal ING account in your name (e.g. a linked Savings Maximiser account), excluding Living Super and Orange One accounts. Having your salary paid into ING is the easiest way to achieve this. You also need to make five debit card purchases every month, which are settled (not pending) before the end of that month. These benefits only come into effect the month after you complete the above requirements, and are activated (or taken away) on a month-by-month basis. So, if you meet these requirements in October, your fee-waivers would come into play in November. Meet the requirements again in November to enjoy the benefits throughout December, and so on. Or, if you don't meet the requirements in November, those fees would become enabled again in December. There are no account-keeping fees on ING’s Orange Everyday account. If you meet the $1,000 deposit + five card purchases a month requirement, you also qualify for a bonus interest rate on your ING Savings Maximiser account for the next month. The app is smooth and functional. It’s very easy to move money around if you need to make a purchase in a pinch, both here and overseas. Great support staff at the Australian call centre. This is currently my main bank. Having my salary paid into it and doing five card taps at the self-checkout fulfils the requirements every month. I’m then free to use any ATM as needed with no extra cost. If I need to dash overseas, having this card already in my wallet means I’m set for cash withdrawals and card payments, without worrying about extra fees. 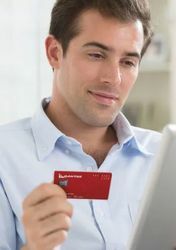 This debit card account has been around for a long time, but can be an excellent all-rounder. No Citibank-imposed transaction fees overseas, for both purchases and ATM withdrawals. No monthly hoops to jump through: these benefits are active no matter how much (or how little) you use your Citibank account. In my experience, overseas transactions adopt the official Mastercard exchange rate, without additional fees or commissions from Citibank. Any fees imposed by ATM operators are not rebated, so you may still be charged for those overseas (and in Australia, too). Mobile app and website interface is a bit dated and clunky. There are no account-keeping fees on the Citibank Plus Everyday Account. No Citibank fees to transfer money overseas or to receive International Money Transfers. Transfers between selected international Citibank accounts can also be instant. Citibank Dining program offers a free bottle of wine at partner restaurants, when you pay with your Citibank card. This is my backup card which I also carry with me every day. It’s worked very well on previous trips before the ING offering came along. Linked with the newly- updated Macquarie Transaction Account, this card can also help you cut down on fees when travelling. No international transaction fees overseas, for cash withdrawals and purchases. Macquarie advises that when you choose to pay in a foreign currency, transactions are processed using the Mastercard international exchange rate with no additional fees. No minimum deposit or transaction requirements, so again unlike ING, these fee waivers apply regardless of how active your account is. ATM fees in Australia are waived or rebated. Any withdrawal fees charged directly by overseas ATMs are not waived or rebated, so there may still be some costs when accessing your money abroad. Macquarie's mobile app supports push notifications for each transaction, so you can see both the local amount and AUD conversion instantly. Enable the app's "Travel Mode" feature and you can also see the exchange rate at a glance for the country you're in. This branchless bank is a shoot-off from NAB, and offers a no-fee transaction account that comes with a Visa Debit card. There are no UBank fees for overseas ATM withdrawals or transactions. UBank processes international transactions with no additional fees. No penalty for accidentally overdrawing your account (but interest still applies to the overdrawn amount). No ATM fees in Australia with NAB and RediATM. Other operators may still charge a fee to use. Any withdrawal fees charged directly by ATM operators are not waived or rebated, so there may still be some costs when accessing your money abroad or in Australia. Bonus interest on your savings if you deposit $200+ into your USaver Ultra or Savings account from an external source, every month. Btw from 1 Jan 2019 transactions at RediATM will no longer be free for UBank customers. HSBC also have a Global Visa Debit card (9 oversea currencies) with no overseas tx fees, but direct fees ATM fees still apply. Beyond Bank has a Visa Debit card that has no overseas tx or atm fees, but 3% fx conversion fee applies, as does BankVic (but limited to 4 overseas atm wdl a month). A soon to come outee fr card is also the crypto.com card. While its design for Bitcoin/etc, you will be able to load it with AUD and spend at the current interbank exchange rate. Additionally if you opt for a higher tier card, you actually get 1%+ cashback on purchases (the higher tier cards also offer LoungeKey access). Making it a very attractive option. I use my ING card overseas now (unless I’m somewhere where there may be security issues around ATM’s), and its fantastic. Much better rates than getting cash changed. What about the HSBC Global Debit Card? In Amsterdam they are useless ..trams require a credit card. Attractions such as museums/galleries require a credit card. I used my Macquarie MC Debit card on the trams and to purchase a ticket for Rijksmuesum with no trouble in May this year. I use the HSBC card and so far so good ,have only used it in Asia.The app is a bit dated I think and not simplified. Isn't that the case for all cards? I couldn't imagine one bank refunding clients the fees imposed by another bank. Have I got this right? There is one bank in Australia (at the moment) who do rebate ATM operator fees on International ATMs - ING with their Orange Everyday account. Hi Joshua, the cards featured in this article have no international transaction fees and also no international ATM withdrawal fees, so that you're not paying extra for your cash or purchases. Up, however, charges a $5 fee per withdrawal from overseas ATMs, so was excluded. I switched to ING a couple years ago as my main everyday bank account, so meeting the monthly requirements is not an issue by just living life. I purchase a lot of things from OS while in Aust, either ad-hoc purchases of physical goods + monthly media subscriptions etc and the FX rate used by ING is the "published rate of the day" with no padding or hedging. Any other FX fees incurred are rebated back in 24-48 hours. I rarely use cash anymore in Aust but appreciate that I can use any ATM in AU and not incur a $2.50 fee from another bank. Where the ATM thing pays off for me is when I'm overseas and need to withdraw local cash. Again, the FX rate used by ING for withdrawing cash is the "Google/XE" market-rate-of-day. ING rebates back all ATM and other overseas charges in 24-48 hours. Overall very happy with the switch. Just got stung recently with 3% fee plus $5 withdrawal fee at HKIA using my NAB debit card at a HSBC ATM. If only I had known that I could have used my Citibank Debit card I would have likely saved the full $18.50 on a $450 withdrawal. The Travelex and other operators exchange rates were that poor at HKIA (around 10% commission), I refused to exchange cash at the airport. Is a Visa or Mastercard debit card a better option? What gives a better exchange rate? Comment on "These Australian debit cards don't charge overseas transaction fees"